Born in Stockholm to a Swedish father and a Russian mother she studied with the Russian pedagogue Andrejewa de Skilondz (also Adelaïde von Skilondz), former a leading coloratura-sopano at The Imperial Opera of St. Petersburg and at the Berlin Hofoper. 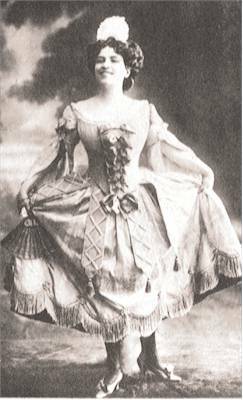 Söderström made her debut as Bastienne at the Drottningholm Court Theatre in 1947. The following year she sang in Grétry’s Le Tableau Parlant. In 1949 she changed to the Swedish Royal Opera and was to become an admired member for many years. 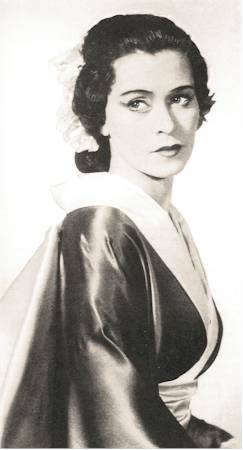 She appeared in the following roles: Pamina, Sophie (later, Octavian and the Marschallin), Louise, Violetta, the four soprano roles in Les Contes d’Hofmann, Regina in Hindemith’s Mathis der Maler, the title roles in Jenufa, Kat’a Kabanova and The Affair Makropulos, Tatyana, Mimì, Euridice and a number of first performances of modern operas. Accepting her teacher’s advice she sang neither Verdi nor Wagner (I am convinced she would have been an ideal Eva). 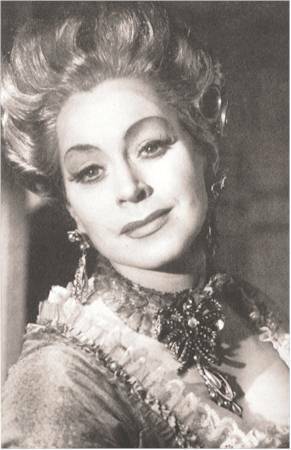 She made her Glyndebourne debut in 1957 and remained a favorite singer there until 1979, singing the Composer, Octavian, the Countess in Capriccio, Susanna and Leonore (!). She appeared at the Salzburg Festival and was a frequent guest at the Vienna State Opera. 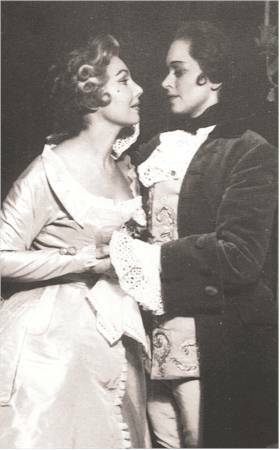 Her Met debut was as Susanna in 1959 and she first appeared at Covent Garden with the Royal Swedish Opera as Daisy Dodd in Blomdahl’s Aniara (1960). She also visited Australia where she debuted as Emilia Marty. She gave her first song recital in 1947 and she soon became an accomplished lieder singer and appeared as a recitalist in all continents. 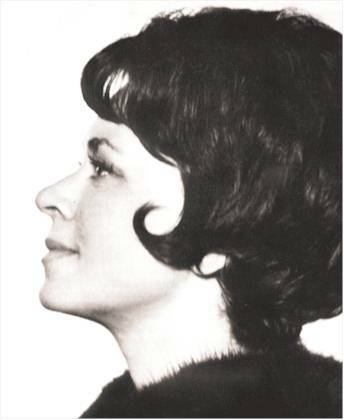 In 1965 she joined the Stockholm Music Academy. She was decorated many times. From 1991 until 1996 she was the director of the Drottnigholm Opera Festival and also worked successfully as a stage director. 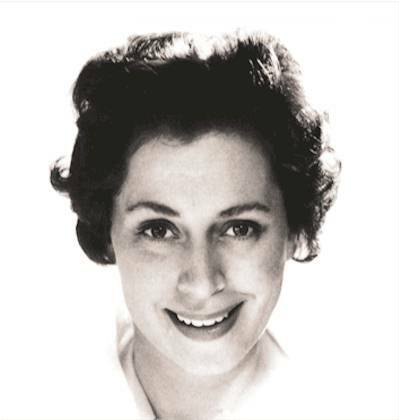 Elisabeth Söderström was certainly one of the most musical and versatile sopranos after Worldwar II, broadening her repertoire until her retirement. There is a “girlish” and at the same time “feminine” color in her voice, a combination which is entirely her own. She had an extraordinary technique and was able to sing until the age of 60 with a voice in superb condition. Janacek’s women, the Countess, Octavian, Mélisande are all creations of flesh and blood, wholly different as human beings but realized with an uncommonly deep and genuine feeling. There is no soprano who equals her in the cruel high tessitura in the soprano solos of Beethoven’s Missa solemnis. 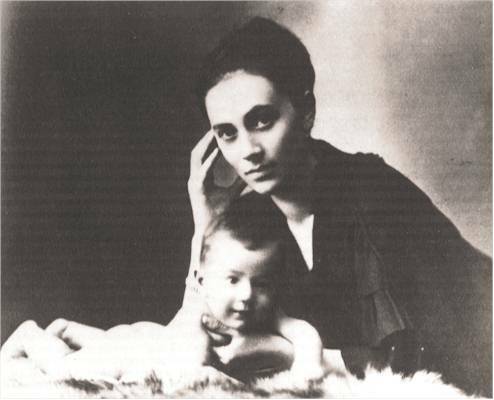 Her Lieder recordings of Russian and Swedish composers are treasures. Sir Charles Mackerras’ Janacek recording cycle with the glorious Vienna Philharmonic and a superb cast, including Elisabeth Söderström’s deeply felt portrayals of the title roles in three of Janacek’s most beautiful compositions, marked the rehabilitation for his music in the 1970s. 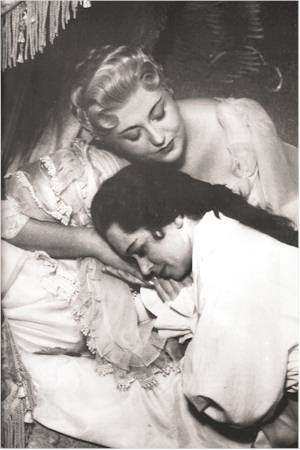 The characters of Kat’a and Emilia Marty reflected the changing aspects of Leos Janacek’s love for Kamila Stösslova. Both were married. Janacek had a difficult marriage to one of his former piano students, Zdenka Schulzova. They had two children but both of them died very soon. In 1917 Janacek was holidaying in the spa resort of Luhacovice and there he met Kamila Stösslova, a beautiful but married woman who was 25 years old at the time (38 years younger than him). He became infatuated with her. It was a love that endured right up to his death in 1928. Their relationship was maintained at a 100 miles distance through Janacek’s frequent letters to Kamila. Fewer letters came from her to Janacek. Over 700 letters (!) record his affection to Kamila. She did not much care for music, scarcely comprehend his stature as a composer and received his attentions with little understanding. This did not deter him. She was the inspiration of all his late masterpieces.